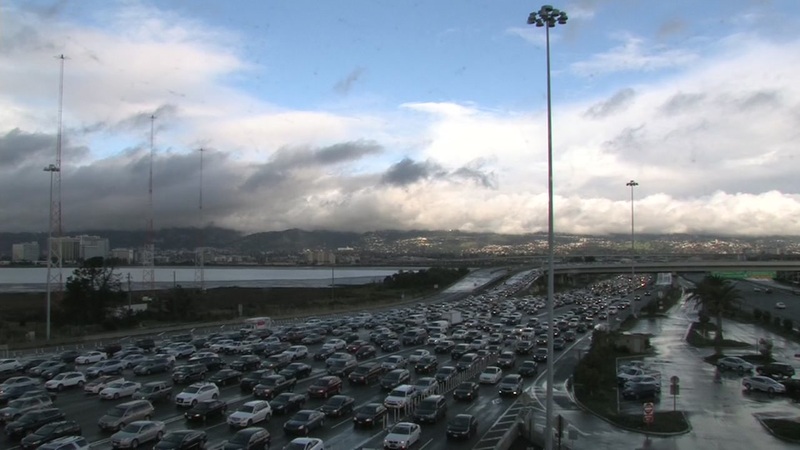 OAKLAND, Calif. (KGO) -- A six car accident on westbound Interstate 80 near the Fremont Street off ramp on the Bay Bridge has halted traffic at multiple points in the Bay Area including the Bay Bridge and Bay Bridge Toll Plaza. Reports of a second accident involving four cars just East of the Fremont Street exit has only added to the fray on either side of the bridge. No injuries have been reported in either collision. Click here to view live traffic maps.